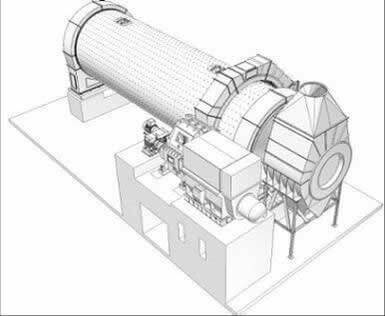 UDCM type mills are designed to achieve maximum grinding efficiency, low energy consumption, compact plant layout and compact mill drive design. All mill types may operate in either open or closed circuit. direct drive torque arm reducer without coupling. 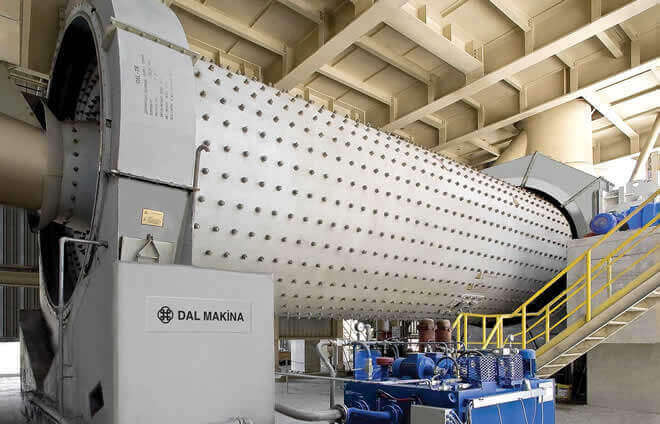 The first compartment is lined with lifter plates, large grinding media for coarse grinding and special lines ensures optimum lifting of the mill charge. 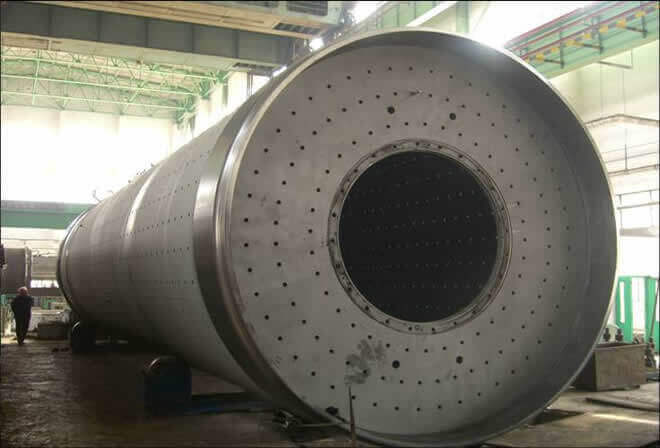 The size distribution of the grinding media in the coarse grinding compartment is designed for the coarsest particles in the mill feed material and to ensure adequate fineness of the material passing the diaphragm. 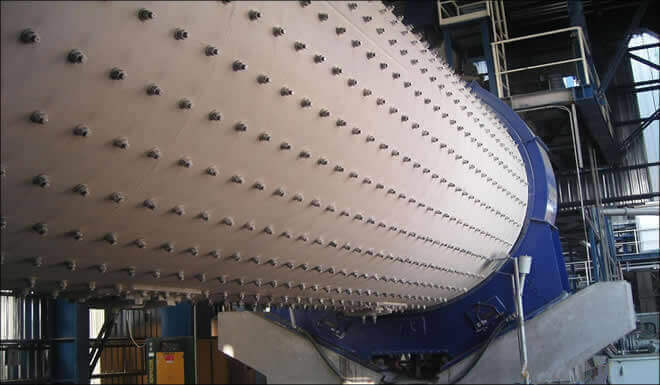 The shell lining in the second compartment or in one compartment finish-grinding mill has special classifiying plate lining and a charge of smaller balls for fine grinding. It is designed to obtain efficient fine grinding. For fine grinding, the charge consist of small balls, which ensure the best possible grinding efficiency without obstructing the material flow through the ball charge. Special designed diaphagm between the grinding compartments effectively screens the material passing from the coarse to the fine grinding compartment.